Just as we finished writing about the retirement of Max Unger we have another major retirement in the world of Professional Football to discuss. In an epic Instagram post where he was atop Mount Kilimanjaro Haloti Ngata held up a banner stating “I’m retiring from the NFL on top” thus ending a 13 year career. Ngata was drafted in the 12thOverall in 2006 where the former Oregon Duck proved to be a perfect fit for the Baltimore Ravens Defense. Ngata would become a starter immediately and from 2009 to 2013 he was a Pro Bowl Selection and in 2010 and 2011 he was a First Team All Pro. 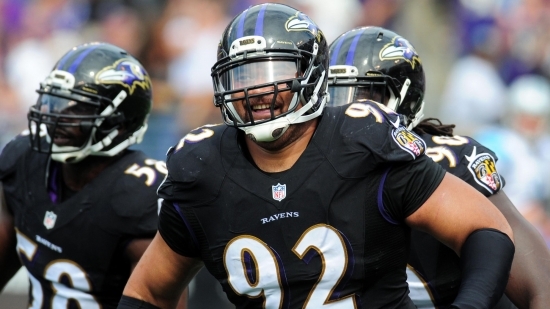 Ngata would help the Ravens win Super Bowl XLVII where he would record 10 Tackles in the game. He would be traded to the Detroit Lions where he would play for three years and he finished off with a final season in Philadelphia. Ngata had a very good career and should he be considered for the Pro Football Hall of Fame, he will be eligible in 2024. We here at Notinhalloffame.com wish Haloti Ngata the best in his post playing endeavors.